NEW: Mancera - Gold Incense and Hindu Kush! Thread: NEW: Mancera - Gold Incense and Hindu Kush! Gold Incense by Mancera is a Oriental Floral fragrance for women and men. Gold Incense was launched in 2018. Base notes are benzoin, vanilla pod and white musk. 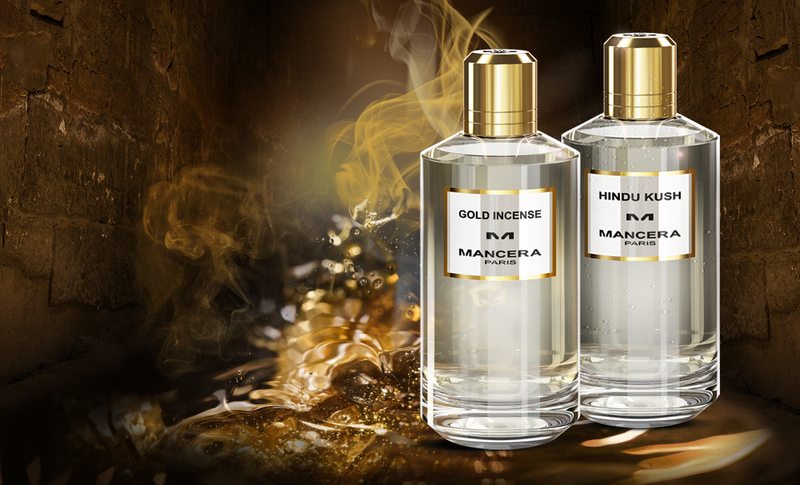 Hindu Kush by Mancera is a Oriental Woody fragrance for women and men. Hindu Kush was launched in 2018. Last edited by hednic; 14th March 2018 at 02:57 PM. Re: NEW: Mancera - Gold Incense and Hindu Kush! Great scents provide Great feelings. Will be asking my associate in Paris to pay a return visit to the boutique to pick these up for me. As always, please let us know your thoughts when they arrive. I've grown to really love the Mancera house and am always excited to hear about new releases - thanks hednic. Cheers for the info Hednic, the ingredient list looks very interesting. lmao i'm in for Hindu Kush. i hope this is actually a good weed dominant smelling perfume. i have no doubt it will be potent, could be a big winner if so. thanks for the updates hednic! Might get me a few oz of the Kush. Please see my "wanted samples thread"
Looking for decants of French Lover and Chergui. Hindu Kush sounds very interesting. I like the sound of the Kush - would def sample! Looking forward to see review comparisons between Mancera’s version of Hindu Kush and that of Abdessalam Attar/La Via del Profumo. the uk splits crew immediately filled slots for a bottle on hindu kush. i guess we love the weed smells over here, impressions to come! i'm unsure as i hated red tobacco but there was something so outrageously potent about that one that made trying it an experience in itself. hoping for something wearable & pleasant. These both look great, looking forward to sniffing. Just talked to Josie at Osswald in NYC, she expects to get these end of August/early September. Excuse my ignornace, but these are released just now and they are expecting them half a year later? Or are they only released in Europe at the moment? They are released in Europe first. North America is usually several months behind. Other than at the Montale Boutique in Paris now, First in Fragrance in Germany and ParfuMaria in the Netherlands should be getting them soon. My two 120ml bottles were sent today from Paris so I hope to get them in a week. Really excited for these two to arrive. Will visit this site asap, Thanks for the information! @hednic, looking forward to hear your thoughts on these. Gold Incense sounds great but I'll definitely test first. After testing Red Tobacco I've learned this is not a house to blind-buy from. Mighty powerful stuff! Just got notice that these will be arriving with the postman tomorrow. While I don't think you have the best taste you do undoubtably own many fragrances so I'll be interested to hear your thoughts on these. Profumo's incense scents: "Mecca Balsam" or "Hindu Kush". Which one do you like more?